Since TrinityCore moved to git, I think this commands will be useful for all users. If you have some interesting commands, tricks or solutions for non-standard tasks - please, share. git commit -a -m "<description>"
git commit --author="name <[email protected]>" -m "<description>"
git log --reverse --pretty=tformat:'git cherry-pick %h # %s' | grep "\[patch"
all between <<<<<<< HEAD and ======= - is what u have now in code, between ======= and >>>>>>> [hash] - what u want to have, after apply patch or smth. Check logic, functions, variables, etc and try to fix ur code. There is no step-by-step guide "how to fix conflicts after applyin patch". TortoiseGIT guide moved back into its own topic for easier seaching / discussion until I can put it on the wiki. It shouldn't have been merged into the middle of a discussion about the commandline. 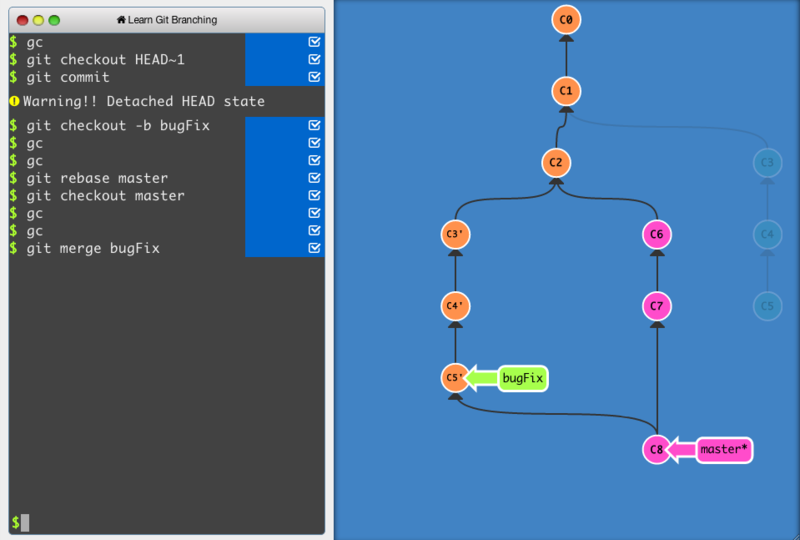 rly simple and easy way to learn git, just try out yourself! All the hidden and not hidden features of Git and GitHub. This cheat sheet was inspired by Zach Holman's Git and GitHub Secrets talk at Aloha Ruby Conference 2012 (slides) and his More Git and GitHub Secrets talk at WDCNZ 2013 (slides).